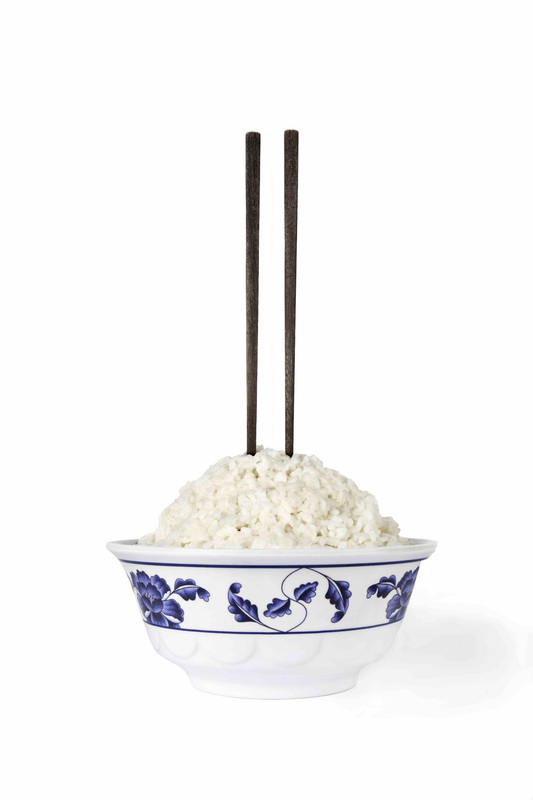 Incense(d) was a research project that explored the relation between the ritual of burning incense sticks and the taboo of sticking chopsticks upright in a bowl of rice. The installation included a lightbox, images printed on Awagami Unryu paper of incense sticks burning, Awagami Unryu paper scrolls, a looped audio piece and plates of incense ash. 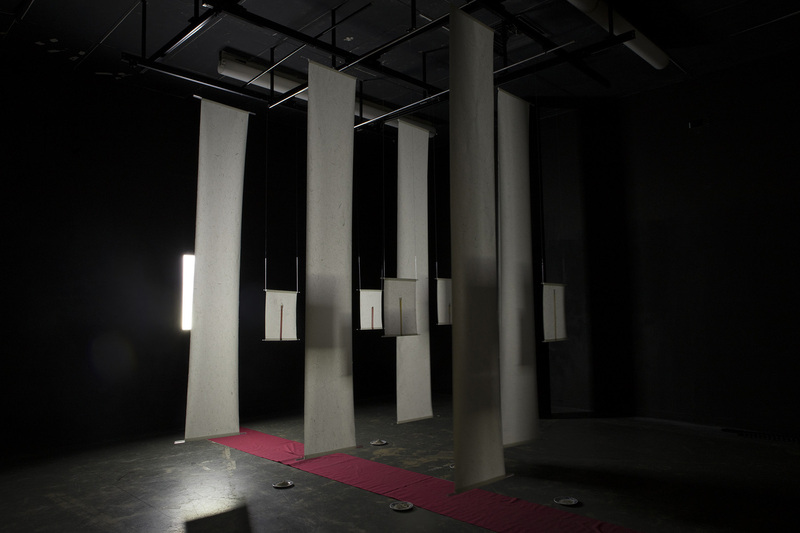 The work was installed in a dark space and viewers were invited to walk along a red carpet strip through the installation, passing the scrolls and images of incense sticks towards the flashing lightbox of an image with chopsticks sticking upright in a bowl of rice. Through the visual correlation of the incense sticks and chopsticks against the juxtaposition of the peaceful space to the harsh tones of the audio piece, the work sought to encourage an examination of how religious rituals influence and define wider cultural customs and values.